Iconic Canadian brand Tilley has launched a BRAND NEW version of one of their best-selling hats the TWS1 Paddler’s Hat! Is a day on land a day wasted? For those who love to paddle, we’ve designed the ultimate Paddler’s Hat! Be prepared for any and all conditions with certified UPF 50+ sun protection, glare protection, wind resistant front brim for extra stability, temperature regulation & more with Tilley’s New Paddler’s Hat. 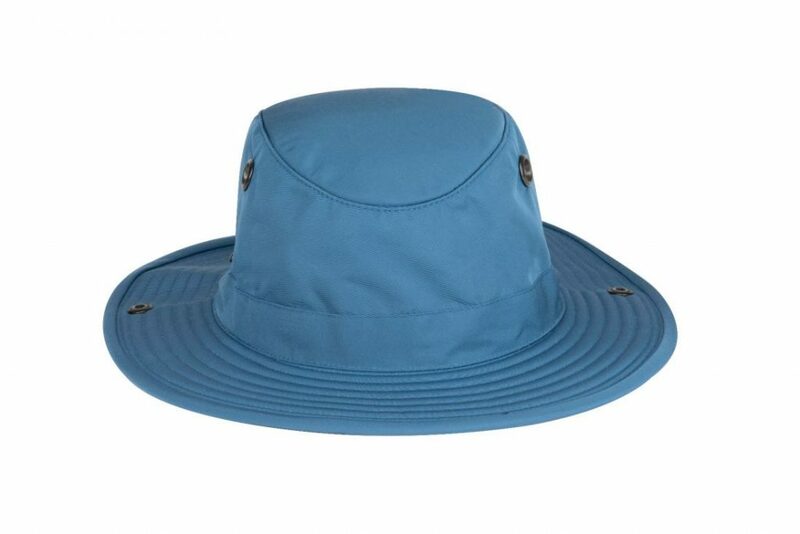 This classic best-selling hat is now available in even more colors including brilliant blue! So, whether you’re planning to go outdoors by the river, or you’re up a creek, without a clue; this is the hat for you! As with all of market leading Tilley hats, these blue beauties are GUARANTEED for life not to wear out, and are at the pinnacle of Tilley engineering, boasting features including Snap up sides for added wind stability & for added style, a secret pocket to keep your valuables safe. As you’d expect with an “Ultimate Paddler’s Hat“; this is also crafted from water repellent fabric; and includes regulated temperature technology with Schoeller® Fabric c_change® membrane. So, lots of science there in that last sentence – but, basically it keeps your head at a steady temperature, in the goldilocks zone to ensure you’re not too hot, nor to cold. In short, it’s a great hat that should out live all of us! And it’s in BLUUEEE! Check it out now at Tilley’s website or order it from Amazon. The Tiley’s website offers FREE US delivery with orders over $150.